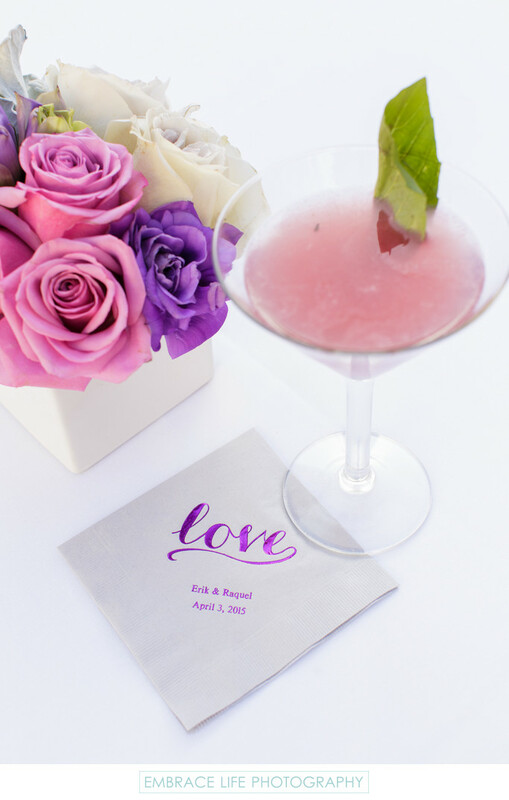 Pink specialty cocktail and gray, custom-designed cocktail napkin with purple foil text next to a pink, purple and white flower arrangement in a white, square vase on a solid white tablecloth. Location: 16801 Pacific Coast Hwy, Pacific Palisades, CA 90272. Keywords: Details (1125), Flowers (471), Food and Drink (150), Wedding (1437).